Join us this week as we welcome singer songwriter, Steve McCormick. Raised in the Midwest, his interest in roots music led to a bachelor’s degree in American Studies from Carleton College in Northfield, Minnesota, where he wrote his senior thesis on American Music. In the years that followed McCormick honed his recording skills by working with tube microphone guru Steve McKinstry and his Salmagundi Studios. Shortly thereafter, McCormick’s songwriting led to a publishing deal with Nashville based Wrensong. McCormick later left the midwest for Los Angeles, where he now resides and is a studio owner, producer, performer, session player, composer/songwriter and microphone builder. As a session player, McCormick’s playing has been heard in dozens of national TV commercials including McDonalds, Nike, Nissan, Chevron, Coors, SBC, Long John Silver and Cialis. He also played guitar on the theme song for the Warner Brothers hit "Felicity". His on-screen debut occurred in the Michael Keaton movie “Jack Frost”, playing guitar in the Shiverfest scene. Though his playing skills are highly sought after, his songwriting and recordings have set him apart as a voice in music today. His songs have been alongside the Counting Crows, Peter Gabriel, and The Pretenders in the hit NBC show “Homicide”. Steve will be releasing a new EP in September 2017. During the show we will also be joined by Heather Donavon who sings harmony with him. We will talk to Steve about his upcoming schedule, get a behind the scenes look at his music, feature his latest songs, and ask him to share his message for the troops. 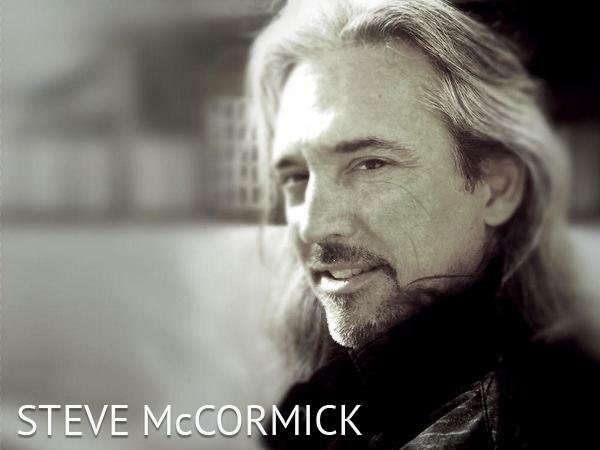 Please be sure to visit Steve McCormick at http://www.stevemccormick-music.com/ and spread the word. Fans are welcome to call in and speak live with Steve during the show (718) 766-4193. Our message to the troops: WE do what we do, because YOU do what you do.